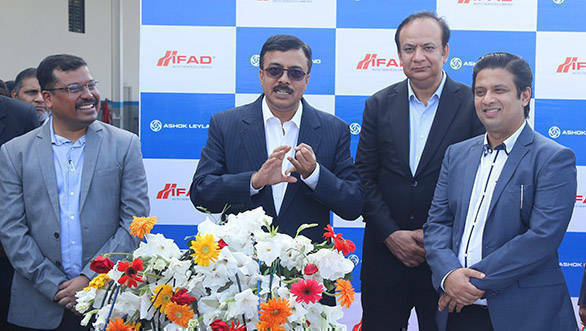 Indian commercial vehicle manufacturer Ashok Leyland inaugurated a new 3S facility of M/s IFAD Autos in Dhaka, Bangladesh. The workshop is located at Madanpur, Narayanganj district on Dhaka Chittagong highway, that is considered as one of the busiest routes in the country. It connects feeder roads with Chittagong Sea Port and Dhaka. It is also strategically located for vehicles plying between Dhaka and Comilla, Sylhet, Chittagong & Cox's Bazar. This modern, 3S facility (sales, service and spares) is spread over 1,38,240 sq. ft. and will cater to the entire range of Ashok Leyland vehicles with 18 fully equipped service bays. Vinod K. Dasari, CEO and MD, Ashok Leyland, said, "Bangladesh is a fast-growing market and this rapidly developing economy will require increased number of commercial vehicles to fuel this growth. To meet this demand, Ashok Leyland, has significantly increased its presence here through our Assembly Plant and rapidly expanding touch points. With the inauguration of this facility, we will have 22 touch points in the country and plan to rapidly expand it to over 36 in the near-term. This is also in line with our strategy to strengthen our overseas presence. In Bangladesh, we already have a very good equity in the market as customers here are already aware of the robustness and reliability of our products. Following the philosophy of 'Aapki Jeet, Hamari Jeet', we aim to serve our existing customers efficiently, and with this new modern facility of M/s IFAD AUTOS, we hope to further expand our family of customers." Iftekhar Ahmed Tipu, Chairman of IFAD GROUP, said, "We have been a witness to how the Ashok Leyland brand has continually grown over the last three decades through their innovative products and utilization of latest technologies. Hence, foreseeing the further growth in demand of Ashok Leyland vehicles, we have established our service facilities to be adequately equipped to satisfy all vehicle service calls in our country. Ashok Leyland's products and IFAD's on-ground promotion and support creates a synergy that our customers view the brand as profitable and are proud to associate themselves with us. We are very thrilled to further strengthen our relationship with Ashok Leyland and shall continue to work together to make it the strongest commercial vehicle brand in Bangladesh." Commercial vehicles' demand in this region is majorly driven by the industries like garments, cement, construction, petroleum and market load. Ashok Leyland's Dost, Partner, Ecomet, 1613, 1616, 2518 trucks and various range of Tippers & Lynx, Viking, 12M buses are the products which are already doing very well and are expected to continue to do well in this market. To service these and other modern range of products, IFAD AUTOS is equipped with state-of-the-art tools and equipment including Josam wheel alignment machine, Knowledge on Wheel, Recon Centre, Ancillary Service Centers  Bosch, Turbo Energy Limited Rane Trw along with in-house machine shop and a dedicated accident repair facility. This facility will also have a parts warehouse and a modern fully equipped service training center. Last year, Ashok Leyland had announced the opening of its new assembly plant in Dhaka, Bangladesh. The plant is spread over an area of 37 acres and is a strategic joint collaboration / tie-up between Ashok Leyland and IFAD Autos Limited, Bangladesh. 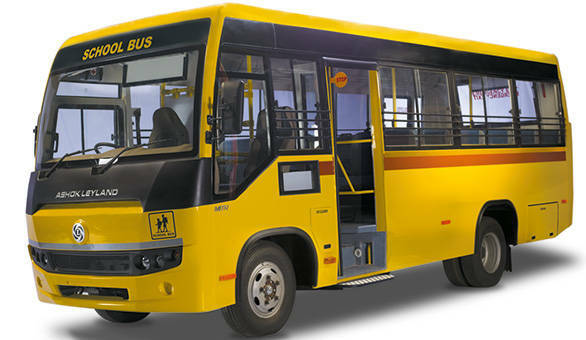 Earlier this year, Ashok Leyland had won orders for 300 double-decker buses and 200 Single Decker AC buses to be supplied to BRTC (Bangladesh Road Transport Corporation).